I went to Venice believing a lot of myths! It made me a little reluctant to go at all, but we wanted to see Venice for ourselves, We celebrated a big wedding anniversary recently. so we planned a trip to Italy and the Adriatic Coast aboard Azamara Quest. Venice had been on the top of our travel list for a while and it seemed like a romantic place to celebrate an anniversary. 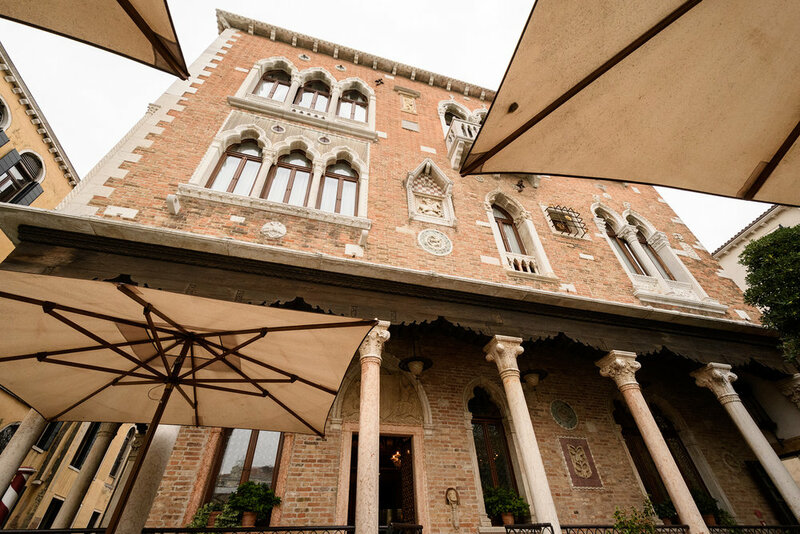 Challenges facing Venice, such as over tourism and rising water levels, might change Venice forever, and our travel list is often prioritized by the urgency to see a place before it changes. One of our interests in seeing Venice was to see how the challenges Venice faces affect a visitor's experience. We were also concerned that we might not enjoy a visit to Venice, based on how crowded it can be. I had a lot of preconceived notions about Venice some turned out not to be true! Reading travel business publications, the problem of over tourism is when a place becomes unaffordable to residents because most of the housing becomes lodging for visitors. Then all the businesses in the place evolve to serve tourists, and business ordinary people need, such as grocery stores or doctors offices start to disappear. Venice is vulnerable to this and we did have to look carefully to see real people living in Venice. But we were able to find evidence of them; firefights, people delivering supplies, laundry, and we even saw a gym class full of middle school students learning to row during gym class. Much of this is a matter of timing. It helped that we traveled in October, which is quieter than mid summer, or during Carnavale celebrations. And while we weren't alone in St Marks Square, we were delighted to find that we really enjoyed plenty of quiet spots in Venice. San Marco in St Marks Square with a "small crowd" in October. What makes Venice so atmospheric is that every turn reveals another beautiful view. What makes Venice so incredible, is that it truly is unlike any other city in the world. Venice was an independent city state empire for an 1100 year run! It was settled when people were pushed out of agricultural lands to the north and created a city out of a salt marsh full of little muddy islands. Necessity invented building techniques that stood the test of time and buildings still stand today! This results in a place that has waterways in place of roads, where due to difficult rebuilding conditions, most buildings have stood for centuries, and sprawl development is limited by the waters edge. The Grande Canal is the main "highway" of Venice, but walking the city is so enjoyable because if you walk just a few blocks from the main canals and squares and you find yourself utterly alone in a beautiful place! I was worried that we wouldn't be able to find places we wanted to go. And it is really easy, and even encouraged to get lost! Walkways that appear to go where you want are blocked by canals without bridges, making it impossible to get someplace even if you can see it! The narrow roads wind around corners and the buildings create narrow alleys that make it difficult to see landmarks. We used our cell phone with GPS with some success and google has taken the "joy" (frustration?) out of getting lost because it will guide you using the fastest combination of vaparetto (water taxis) and walking, and will usually send you to the nearest bridge, even if it feels like a lot of turns. Unfortunately, the GPS can sometimes lose service between large buildings, making it hard to follow. I think any trip to Venice should include time to get lost, wander around areas that aren't on the tourist paths. The only thing that frustrated us was when we were already tired and just wanted to get back to the hotel and what looked like a quick walk back turned into an epic journey to the nearest bridge! Buy tickets ahead online for your length of stay or at a local tobacco shop with the ACTV logo. Be prepared to pay cash for your tickets. Vaporetto single rides are expensive, 7.50 euro for one hour of riding (unlimited transfers) Full or multi day tickets are a better value. The "stations" are floats, so you scan your ticket and enter the float and wait for people to exit. Be ready to board quickly, the water taxis are crowded and usually you have squeeze on somewhere. There is a map or electronic board at each vaporetto station, check to make sure its headed in the direction you want and that it goes as far as you want, some ferries do not complete the round trip of the whole line. Line 2 along the Grand Canal is the "express bus" with only major stops included. Think twice about using the vaporetto for a "cruise of the Grand Canal". It's so crowded that it's unlikely you'll find a spot to see the sights. much less photograph the sights from the water taxi. There are a few spotsoutside or along the rail and you'll be made to move every time new people board. Unless you are on very tight budget, splurge for the private taxi tour of the Grand Canal. The main vaporetto from the airport includes areas for people with luggage, but of the other water taxis are ill equipped to use with luggage, so it's worth arranging a private or group transfer on a taxi rather than trying to squeeze onto a vaporetto with all your luggage. This one proved to be true...with certain conditions! Banish visions of wandering around hand and hand through St Marks Square, and wending through the canals alone on your gondola. You'll be doing these things with thousands of other lovers, Senior tour groups, school groups and selfie stick toting tourists. However, we found the romance in Venice because we splurged to have unique experiences and wandered off the beaten path! One thing we did because it was a special anniversary, was use a travel agent in Italy to plan our visit to Venice and Rome and all of our shore excursions in our Italian ports. 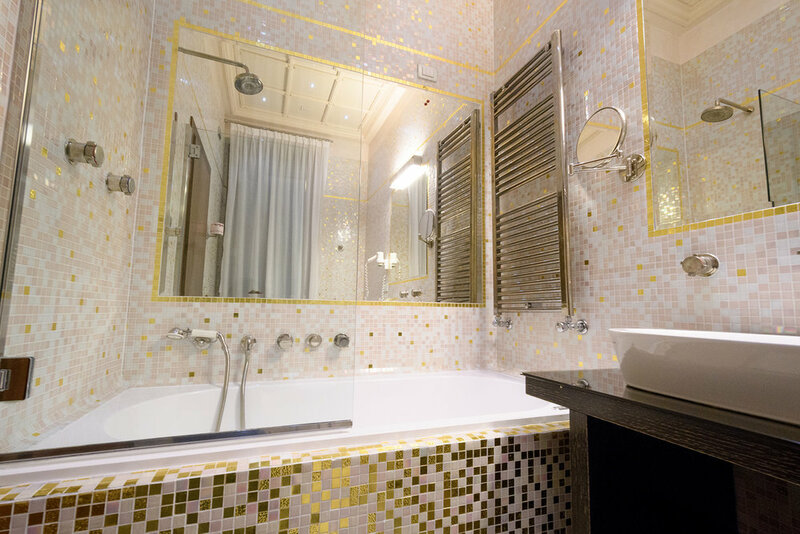 We worked with Matteo at Fueritinerio He arranged a romantic dinner at a Michelin star restaurant, Il Ridotto for us, and planned a private boat tour of the Grand Canal and skip the line tours of St Marks and the Doges Palace. 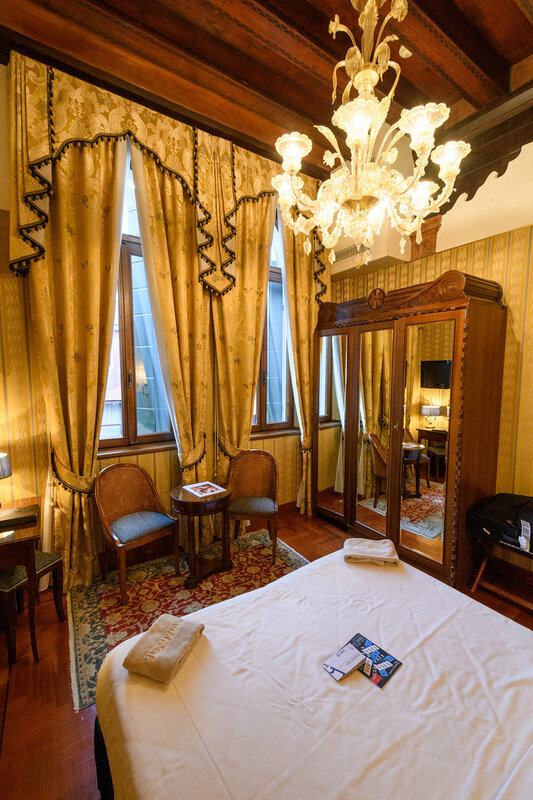 He arranged for us to stay at Hotel Palazzo Stern, a Gothic Revival hotel on the Grand Canal with a very romantic location. We left a few hours open every day to just wander around the city (ie get lost) We found Venice to be very romantic when we took time to soak up the atmosphere and not focus on seeing all the sights! Imagining a romantic stroll on the Rialto Bridge? Think again! And this was the "slow" season! I went to Venice with a lot of my own ideas from what I read before I left. Our time there delighted us, because we allowed ourselves to be surprised by Venice, both by putting our itinerary in Matteo's expert hands and by allowing ourselves time to get lost and enjoy each other while enjoying Venice's charms! We have lots more to share about our trip...more Venice, and reports from our other ports of call in the Adriatic and Italy. Be sure to "Like" our FB page, follow on twitter for new posts! 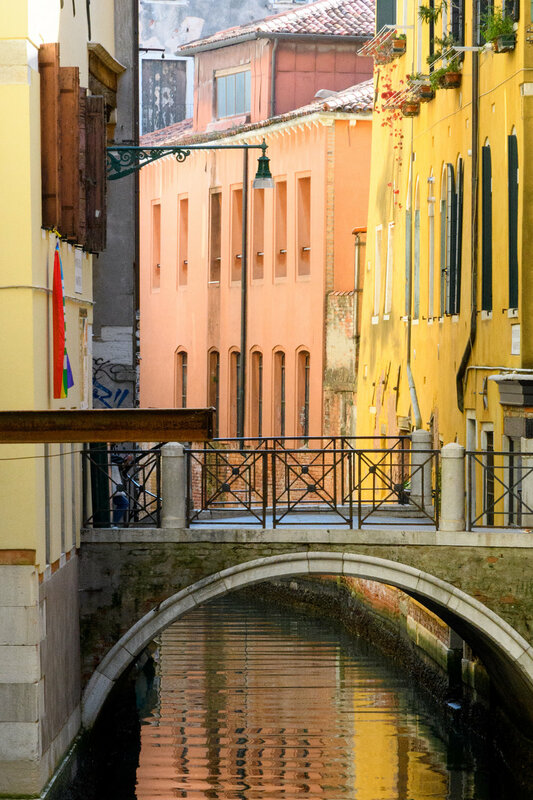 We'd love to hear about your experiences in Venice! 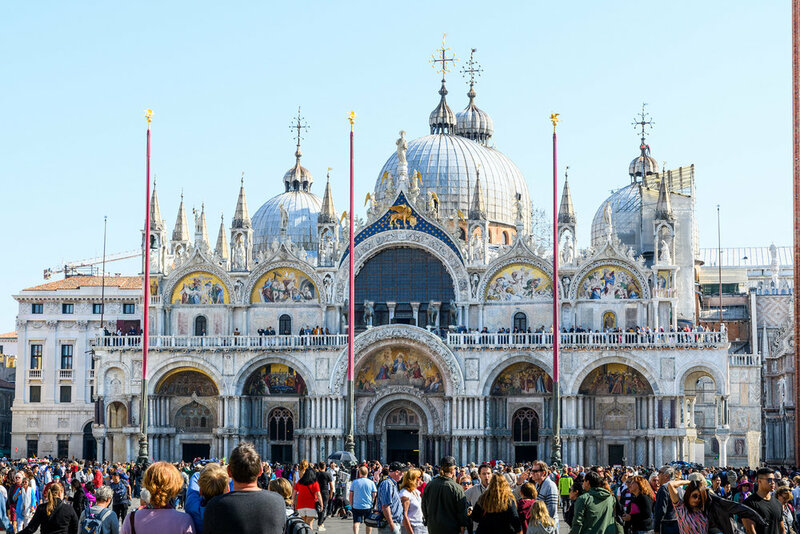 Click below for more on Venice and put Italy in the search bar for more on Rome, Amalfi, and Sicily.